The Panasonic TX-P50VT30 sports a 50-inch 3D panel is one of the most advanced plasma TVs on the planet, says its maker. 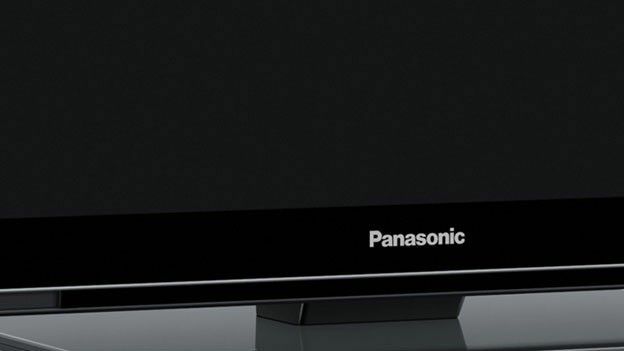 The Panasonic TX-P50VT30 forms part of the brand's VT30 plasma range, along with models such as the TX-P42VT30, and is the most ambitious panel developed by Panasonic. Replacing last year's award-winning VT20 models, and pitched squarely against the Samsung UE55D8000 and the LG P50PZ950T, they've been pampered with all manner of cutting-edge technology, from ultra dark filters to new a plasma gas recipe. Small wonder this 50-incher oozes tech appeal. The Panasonic Viera TX-P50VT30 includes both Freeview HD and Freesat tuners for maximum HD viewing. And if you can't find anything in the schedules, the set connects to Panasonic's Viera Connect online portal. This has been growing rapidly of late and now sports a wide range of streaming IPTV, including BBC iPlayer, YouTube and BBC News. There's also social media widgets for Twitter and Skype. Other tricks include timeshifting to external USB or SD card. Media streaming from USB and across a network is also a speciality. AVCHD, AVI, MOV and MKV video files all play and the set can even pull and display album art when playing MP3 files. Even unplugged, the TX-P65VT30 is spectacular enough to stop traffic. Panasonic has dubbed the design 'High Line', and the edge-to-edge glass finish is easy to appreciate. Full HD images look truly superb on this screen. The new High Contrast Filter Pro guarantees stygian black levels with searing peak whites. Indeed, we actually began to wonder whether the screen looked too black and contrasty. But of course, there're plenty of calibration controls available. We found the THX 2D preset particularly well-judged for movies. The set's 3D performance is first class. 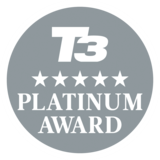 Panasonic has managed to effectively eliminate 3D crosstalk double imaging. The package includes two pairs of Active Shutter 3D glasses. Despite its slimness, this 50-incher offers an above average sonic performance. There's a subwoofer onboard to fill things out, while 'invisible' speakers magically create a wide stereo soundfield. There's not much you can't plug into this TV. With four HDMIs, component, phono AV, Ethernet, three USB ports and Scart, most bases are covered. Wi-Fi isn't built in, although the brand does include a dongle if you need it. The plasma panel is Full HD 1920 x 1080 resolution. Beautifully built, ambitiously equipped and blessed with a stonking AV performance regardless of your preferred dimension, the TX-P50VT30 is a cut above the majority of highstreet flatscreens. This is a display of legendary finesse. It may be expensive, but then the very best things usually are and it does more than enough to make it into our list of the best TVs to buy.